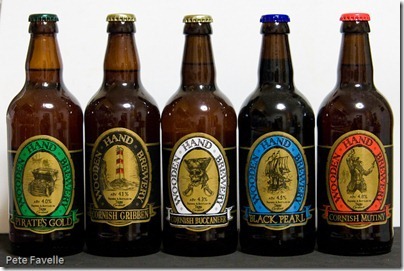 I always make it a mission to hunt down local beer when I’m travelling, and our trip down to Cornwall last year was no exception. 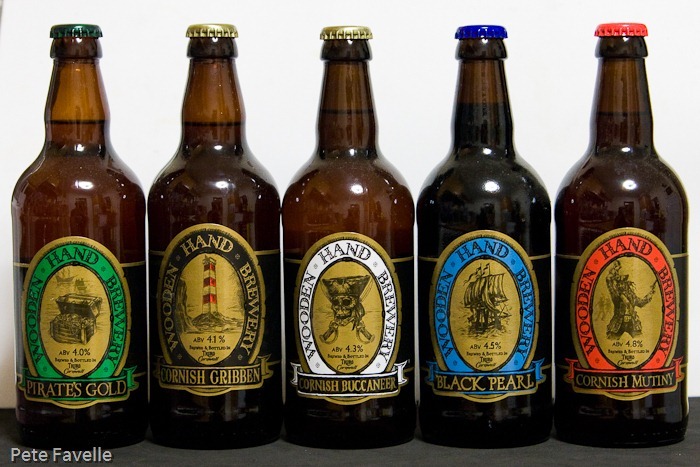 As well as managing to pop into, among others, Harbour Brewing, I also picked up some bottles to enjoy back home. 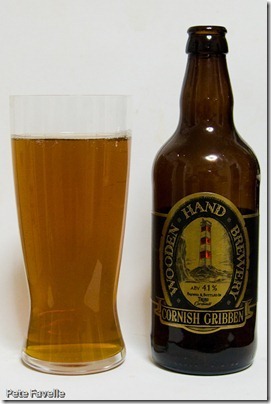 This is the range from Wooden Hand Brewery, although it looks like Cornish Gribben has since been replaced with a Cornish Steam Lager. 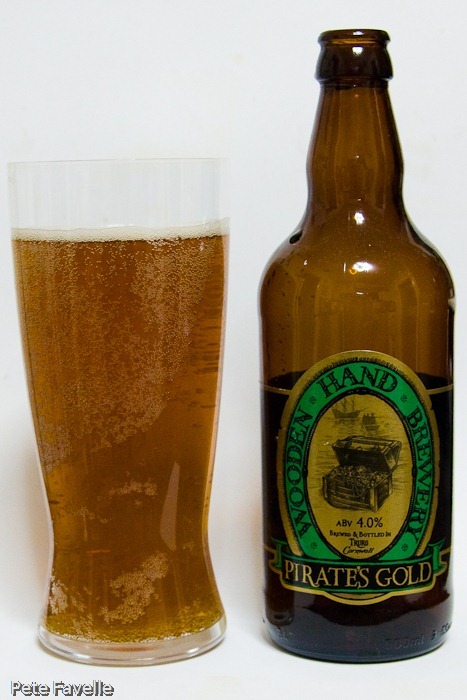 Pirate’s Gold is a 4.0% ABV pale ale – more of a pale copper colour than gold, with a fleeting head on it. The nose is full of toffee, with a slight biscuit hint. In the mouth, it’s a pretty decent bitter. Toffee flavours are nicely balanced by a slightly dry, significant hop bitterness along with a dark berry fruit. Although it doesn’t feel too fizzy, there’s a little too much of that ‘sharpness’ to the flavour that over carbonation can give you, but that’s a minor quibble. 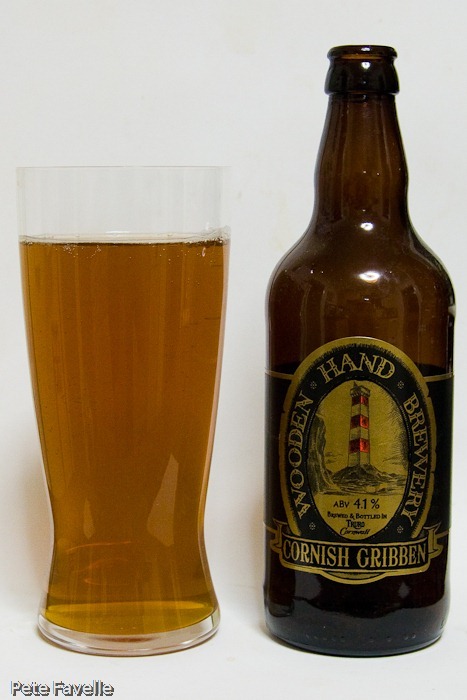 Next is Cornish Gribben, slightly stronger at 4.1% ABV. 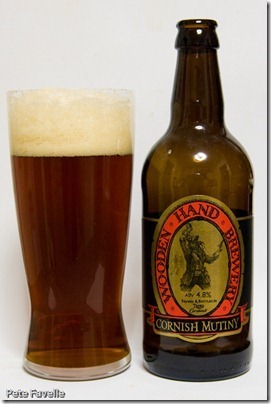 A pale, dull copper colour in the glass, this beer appears almost flat. There are some sweet malt tones on the nose, and a hint of orange citrus fruit. The flavours mirror that first impression; flat, slightly sweet, a subtle hop bitterness with just an edge of citrus about it – not bad, but it’s not setting my tastebuds singing. 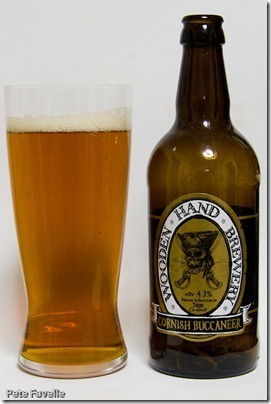 Cornish Buccaneer is another step up, at 4.3% ABV. A much more encouraging, bright amber in the glass with a thin head. There’s not much of an aroma but there’s a faint, sweet nose, more fudge like this time. On tasting, there’s a decent hop bitterness balancing out that sweetness, but the flavours are muted. There’s nothing wrong with it, but it’s a fairly average bitter. 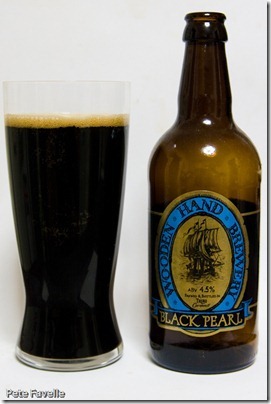 Continuing the nautical theme, next is Black Pearl, a 4.5% stout. Jet black in the glass, it has a thin but lingering tan head on it. The nose is rich and roasted, full of coffee. The taste starts with sweet, rich treacle and an almost creamy texture. A deep and satisfying roasted bitterness comes through, making it a nicely balanced and very pleasant stout. 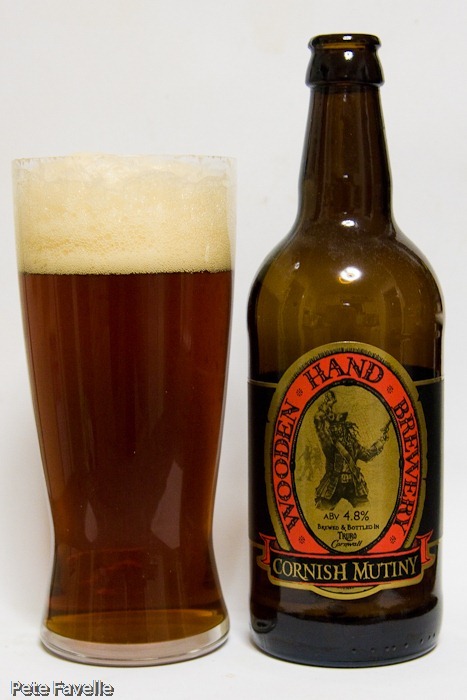 Cornish Mutiny finishes off the range, the strongest of the bunch at 4.8%. Deep copper in the glass, it’s the first bottle to produce a really decent, deep foam head. 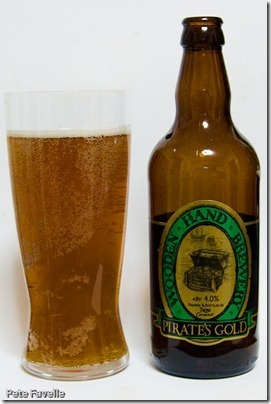 The nose is filled with malt and biscuit and certainly promises a bigger beer than its brothers. 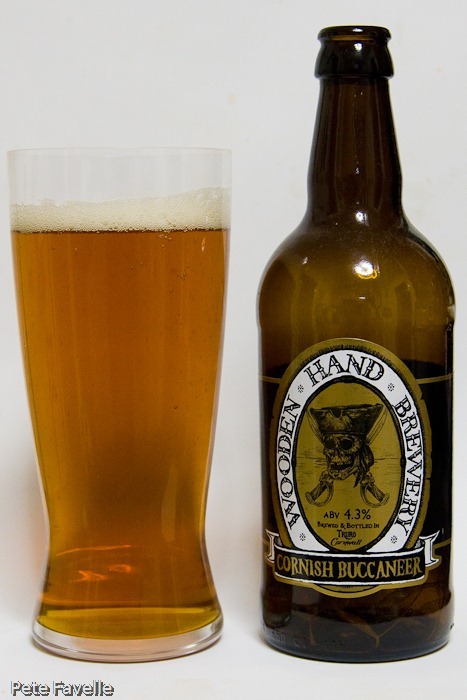 Although there is a rich sweetness to the flavour, somewhat half-heartedly balanced by a hoppy bitterness, it remains unremarkable. Overall, this is a slightly frustrating collection. 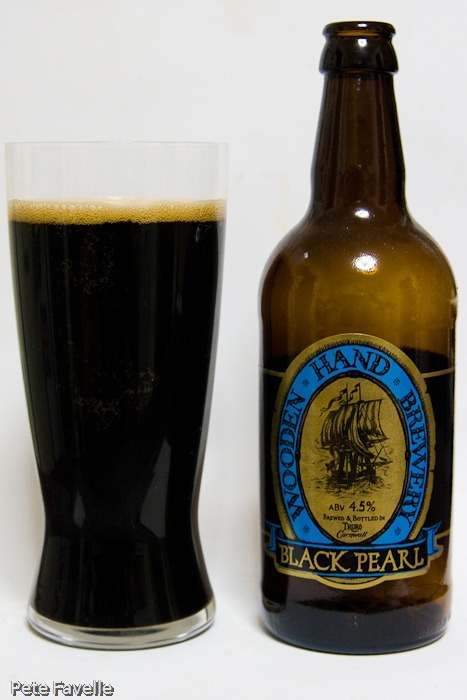 There’s nothing actively wrong with any of these beers – Black Pearl is a decent stout, and the rest are all perfectly competent Best Bitters, but there’s not a great deal to distinguish them from one another.